The Pharisees assumed that if a person ate with sinners, that person was a sinner, too. Levi was a Jew who worked for the Roman government. He was a tax collector. Tax collectors were renowned for their dishonesty. If that were not bad enough, they were also ritually unclean. They rubbed shoulders with gentiles. Their clothing touched the unclean garments of gentiles. Their dishes and eating utensils weren’t purified. Naturally, since Jesus and his disciples ate with such people, Jesus and his disciples were unclean, too. He ate not only with tax collectors, he ate with sinners in general. The Pharisees, of course, were right. According to the Law, an Israelite who placed himself in contact with ritually unclean people became unclean as well (Leviticus 15:7; Numbers 19:22). But the Pharisees knew Jesus was no ordinary Israelite. They had seen his healing miracles. They had heard him forgive sins, and they had witnessed his power to cast out evil spirits. 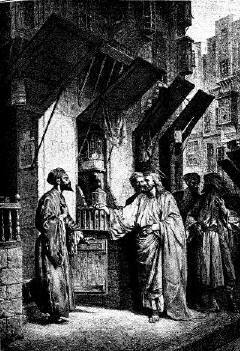 With such demonstrations, Jesus disturbed the Pharisees. Their authority was thrown into question. The applecart of their prestige and influence among the people was upset. Their agendas for preparing Israel for its Messiah conflicted with Jesus and his kingdom. Their interpretation of Israel’s law was threatened. When they caught Jesus blatantly flaunting the Law by consorting with sinners and eating with impure hands from impure dishes with impure people, they knew such a man could not be from God. Their assumptions prevented them from seeing what was really going on. God was not interested in cleansed appearances; he was interested in cleansed hearts. Jesus was coming into contact with sinners. But instead of the sinners making him unclean, he was making them clean. From this passage, we learn that the grace of God ministered through Jesus Christ isn’t limited to righteous people. It extends to sinners, even to the kind of sinners that disturb righteous people. The Pharisees were not happy. Jesus was eating with people a good man would have no business eating with. Such conduct proved to them that Jesus was not a good man. Who could deny it? They saw it with their own eyes. They knew the facts. They knew the implications. And they were not the type to sit by and do nothing. They confronted Jesus’ disciples. 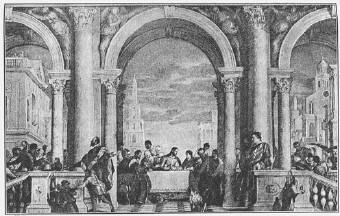 It may be that the conversation between the Pharisees and the disciples, and the one between the Pharisees and Jesus, took place well after the meal was over. That would make sense, considering the fact that if the conversations had taken place during the meal, then the Pharisees themselves would have been present at a meal with tax collectors and sinners. Regardless of when the conversations took place, the Pharisees made a foolish assumption. Of course, they did not know it was foolish. They assumed that they were “healthy people,” and that they had no need of a physician. They assumed that they were righteous, and that Jesus’ call to sinners did not apply to them. They had found righteousness in their diligent faithfulness to do everything they believed God had required of his people in the law. Jesus said to Levi, “Follow me,” and Levi got up and followed him. Levi found righteousness in the Son of God. He saw with his own eyes what the accusing Pharisees also saw but could not recognize. He saw what Paul described in his letter to the Romans: “In the gospel the righteousness of God is revealed—a righteousness that is by faith from first to last, just as it is written: ‘The righteous will live by faith.’” (Romans 1:17). Levi made no assumptions. He saw, he listened, and he believed. He trusted the One sent from God because he trusted God. May we, too, live by faith, not by assumptions. Are you too sinful for God to forgive? Why did Jesus spend so much time with sinners?